If you are looking for a destination for the perfect start to your married life we have you covered with these places in India. An all-time favourite with honeymooners, Goa has a charm that is hard to miss. Perhaps it is the endless coastline that continues to lure people from everywhere. This former Portuguese colony, is home to many beaches and offbeat ones like Butterfly, Kakolem, Ashwem, Velsao, Betul and Cola still have a quiet charm that are perfect for honeymooners. This apart there are several resorts many of which have private stretches of the beach where you can enjoy a quite candlelight dinner as well. If you like to party, North Goa is the place to head to with choices from beach shacks to lounges and discotheques that are on till the wee hours of the morning. Goa has a rich history as well and exploring its forts – Chapora, Reis Magos (that has interesting works of Mario Miranda), Aguada and Sinquerim is a great way to bond too. And of course while in Goa you must sample its wonderful cuisine that has something for everyone. Do sample the Pork Vindaloo, Rava Fried Fish, Chicken Xacuti, Chicken Cafreal, Pork Sorpotel and Goan Nevri as these are some of the must tries. With an abundance of nature with waterfalls, mangroves and stunning birding life, Goa has many secrets up its sleeve that are waiting to be discovered. The hill town of Shimla is known for its salubrious climate throughout the year and can be visited any time of the year. An erstwhile summer capital of the British, the architecture of many of the buildings here has a distinct colonial influence. Do make time to visit the Indian Institute of Advanced Studies, once a Viceregal Lodge that was built in 1884–88. This is today a research center for advanced studies and has a guided tour that will take you through the galleries. While in Shimla, a ride on the Kalka- Shimla train, a UNESCO world heritage site is a must too. Also check out the Baba Bhalku Ram Museum – he played a key role in helping with this train line being dug. The bustling Mall Road here is not just the place to shop but also tuck into local food. The Jakhoo temple and Christ Church will give you a spiritual fill too. Shimla is also home to Asia’s largest ice skating rink so make sure you check it out. The best way to enjoy the place is to walk and being surrounded by the Himalayan peaks, taking a trek off the city limits will get you up close to some of the most natural scenic sights that is the best way to spend time with each other. 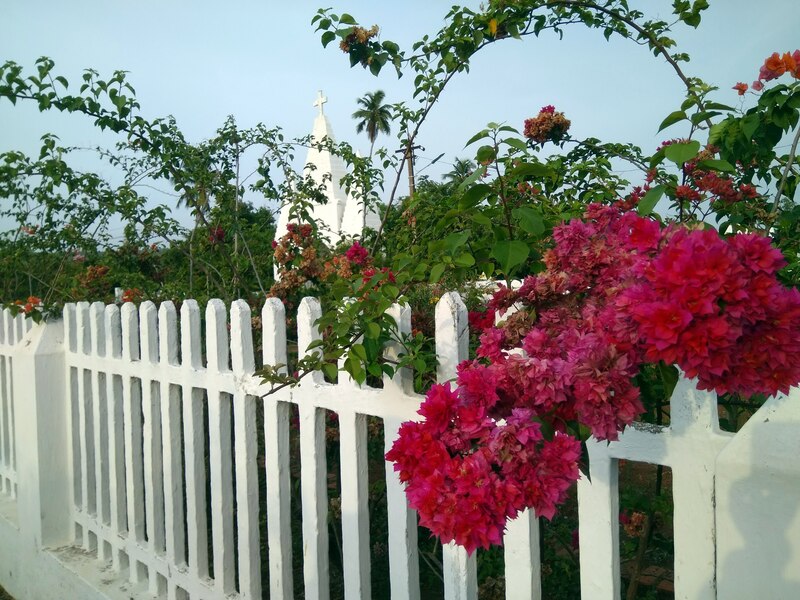 The quaint French town of Pondicherry is a quiet oasis of good food, sunny beaches and more. And to explore it all check into one of the many heritage French colonial boutique properties in White Town. This is also close to the famed Sri Aurobindo Ashram, an oasis of calm where you can have the best start to your new life together. Or better still head to Auroville about 10 km away from the city to see how different communities live under one roof. Pondicherry is well known for its seaside promenade which is one of the best places to catch a scenic sunset. It is not uncommon to see many couples enjoying time together here. The rocks alongside the promenade become seating places to watch life go by. Do make time to visit the Manakula Vinayagar Temple that has many forms of Ganesha as well as the Basilica of the Sacred Heart of Jesus a popular church here. If you like adventure, you must try the scuba diving here – it will get you up close with fascinating marine life. Shopping in Pondicherry is good fun courtesy the many local designer stores here. Do check out handmade paper, aroma products, leather, ceramic pottery and clothes. With its rich royal past, the city of lakes Udaipur is known for its old havelis and palaces and is undoubtedly one of the best honeymoon destinations of the country. Centered around the stunning Lake Pichola, the city has a royal allure like no other. Take a boat ride on the Fateh Sagar lake and you will see the beautiful palaces in the many islands here. Do stop by at the stunningly beautiful Jag Mandir, a 17th century palace that is now home to a hotel. Eating at the restaurant here is an experience by itself as it overlooks the placid waters of the lake. While in Udaipur a visit to the city palace with its museum and Sajjangarh or the monsoon palace must be on your itinerary here. For a quiet experience do visit the Ahar cenotaphs of the Maharanas of Mewar. The place is calm and has some wonderful water birds as well as an old Shiva temple. A visit to the beautiful park Saheliyon-ki-Bari – the Garden of the Maidens dotted with colourful flowers, marble elephants, fountains and a lotus pool is a good idea when you are here. Do remember to check out Shilpgram a rural art and craft center set up by the Government where you can interact with local crafts people too. A UNESCO world heritage, the ruins of Hampi are as poignant as they are ethereal. A honeymoon here is bound to be like no other as this is a small town that has managed to retain its charm through the ravages of history. Spread over 16 square miles the ruins of Hampi are best explored using a guide so you can actually see the most important sites. Start at the Virupaksha temple complex, one of the few sites which has an active temple. The Hampi Bazaar or the Virupaksha Bazaar is a long street in front of the Virupaksha Temple that was once a flourishing market. Make sure you stop by at the Vittala Temple Complex, which has the famed stone chariot. This is a sprawling complex with many temples, pavilions, pillars and more. The famed musical pillars are here too but you will need a guide to show you around. The Archaeological Museum of Hampi has an impressive collection of sculptures and antiques in four galleries. Do check the Royal Enclosure an open ground with small shelters and the Mahanavami Dibba as well. The Queen’s Bath is a rectangular complex that used to house a small water body where the queen would bathe. Do not forget to take a coracle ride on the Tungabadghra River here. A part of the Nilgiris that is less known as compared to Ooty and Conoor, Kotagiri is a small town that is surrounded by tea estates all round. This is where you can see nature abound and enjoy romantic walks inside the tea plantations. When you are here a visit to the Catherine Falls that a\has a double cascade is a must. This takes you through tea plantations and gives you a bird’s eye view of the falls in the distance. 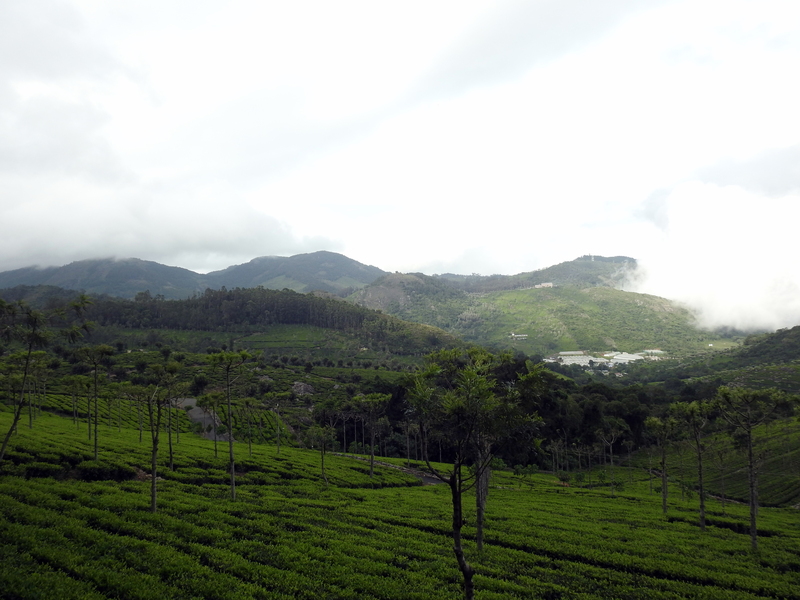 Also check out the beautiful Kodanad view point that is located in Jayalalithaa’s Tea Estate. This is where you can see a picturesque view of the Nilgiri Mountains and is one of the best places to take photographs too. Also stop by at the John Sullivan Memorial located in Pethakal Bungalow where he lived. You can see many photographs of the local tribes of Kotas, Badagas and more. For some quiet time check out the 1928 built St Luke’s English Church and the St Mary’s Church that dates back to 1867. The mist laden streets of Kotagiri and a hot cup of tea fresh from the plantations make this tiny town an offbeat choice for your honeymoon but it is certainly one filled with wonderful moments together.